I like this new DVD Player, esp. its rich library of audio & video effects. Worth 5 stars! The skin is not so eye-catching but the effects of this DVD Player is quite good. Its DVD Converter is also OK! This is a cool DVD player I’ve ever tried. It’s fun, too. I like it a lot! 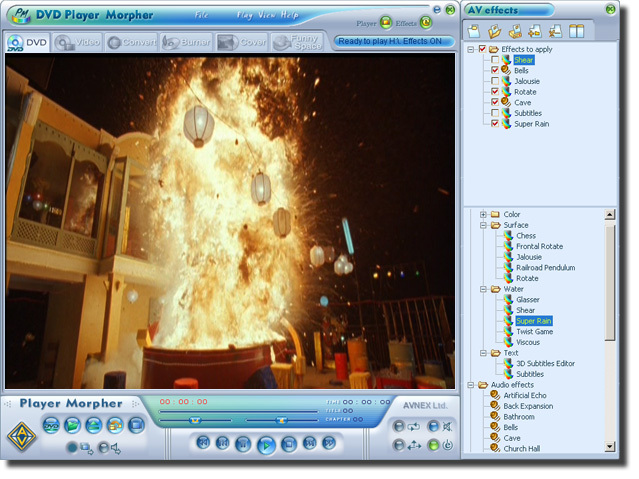 Share your comments about AV DVD Player Morpher.